Los Angeles, CA (November 28, 2018) — Volkswagen of America, Inc. is pleased to announce today that Car and Driver magazine has named the Volkswagen e-Golf, Golf, Golf Alltrack, Golf GTI, Golf SportWagen and Golf R to its 2019 “10Best” list. 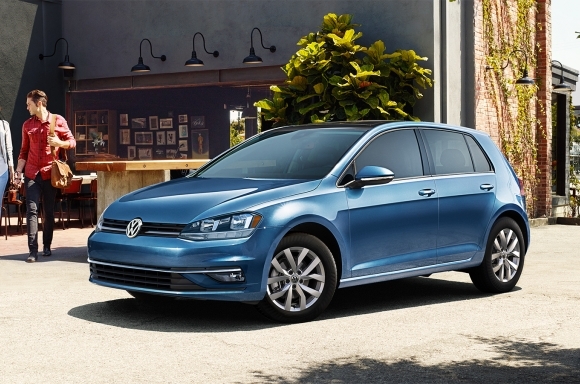 This marks the thirteenth consecutive “10Best” award for a Golf family model. The Car and Driver annual “10Best” list features 10 of the magazine’s most favored new vehicles. Cars are judged on value, performance and the ability to satisfy the comprehensive driving needs of the consumer. Nominees consist of all-new cars, 2018 10Best winners, cars that were not available for the 2018 competition, and those with significant updates. All cars must fall under the base-price cap of $90,000 and be on sale in January 2019. The 2019 e-Golf is available in two trims—SE and SEL Premium. New for the SE trim is a standard DC Fast Charger, enabling the battery to be charged to approximately 80 percent within an hour at a DC fast charging station. A Driver Assistance Package is available on the SE trim, and includes Forward Collision Warning and Autonomous Emergency Braking with Pedestrian Monitoring (Front Assist), Blind Spot Monitor, Rear Traffic Alert, and Adaptive Cruise Control (ACC). The SEL Premium trim now offers a suite of standard driver assistance features, including the features above, plus Lane Keeping System (Lane Assist), Parking Steering Assistant (Park Assist), and High Beam Control (Light Assist). The 2019 Golf is available in two trims—S and SE. The 1.8T engine has been replaced by the same 147hp, 1.4-liter turbocharged and direct-injection TSI® engine found in the all-new 2019 Jetta. This is paired with either a six-speed manual or an eight-speed automatic transmission for both S and SE trims. The S trim adds standard Front Assist, Blind Spot Monitor, and Rear Traffic Alert for model year 2019. SE models offer an available Driver Assistance package, which includes ACC, Lane Assist, Light Assist, auto-dimming rearview mirror, and 17-inch aluminum-alloy wheels. 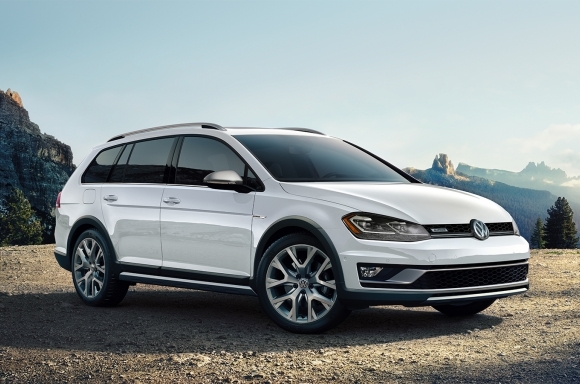 The 2019 Golf Alltrack is available in three trims—S, SE, and SEL. The S trim adds standard Front Assist, Blind Spot Monitor, and Rear Traffic Alert. SE models offer an available Driver Assistance and Appearance package, which includes Lane Assist, Park Distance Control, Park Assist, Light Assist, LED headlights with the Adaptive Front-lighting System (AFS), auto-dimming rearview mirror, and 18-inch aluminum-alloy wheels. The top-of-line 2019 Golf Alltrack SEL gains a six-speed manual transmission. The 2019 Golf GTI is available in the usual three trims—S, SE, and Autobahn—and a limited-edition GTI Rabbit Edition slots between the S and SE trims and pays homage to GTI heritage. 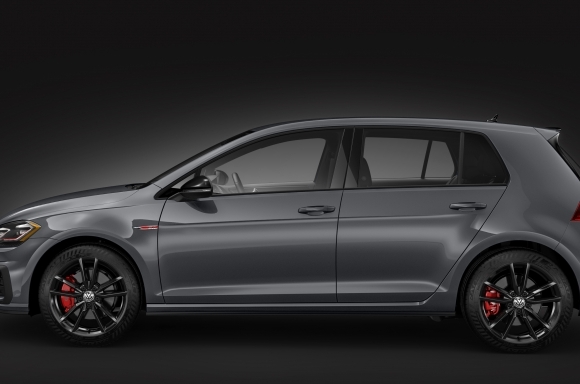 All models now come with 228 horsepower standard (achieved with premium fuel), plus Golf R brakes and the VAQ mechanical differential. Front Assist, Blind Spot Monitor, and Rear Traffic Alert are now available in the optional Driver Assistance Package on S models, and standard on the rest of the lineup. SE models get new standard equipment, including leather seating surfaces, plus a new available Experience Package, which offers Fender® Premium Audio and DCC® chassis control. The heritage-inspired Rabbit Edition is new for model year 2019. It will have a limited production run, and features 18-inch gloss black aluminum-alloy wheels, a black rear spoiler, LED headlights with AFS, black mirror caps, Rabbit-badged seat tags, red-stitched floor mats, KESSY® keyless access with push-button start, Front Assist, Blind Spot Monitor, and Rear Traffic Alert. Rabbit Edition will be offered in four colors: Cornflower Blue, Urano Grey, Pure White and Deep Black Pearl. 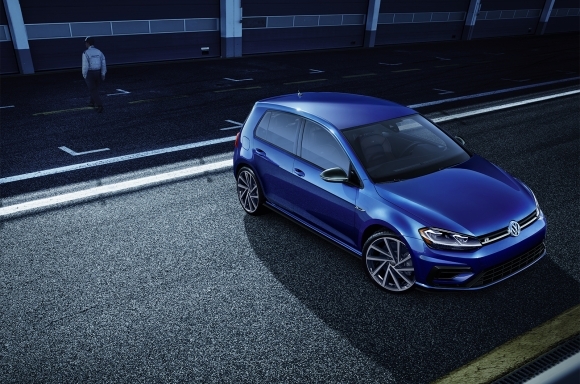 The 2019 Golf R is available in one trim—Golf R with DCC and Navigation. A new special color program is available for model year 2019, offering an array of 40 special custom order-only colors—many of which are heritage colors from Volkswagen enthusiast models (the existing five colors remain available for series production). In addition, a Black Wheel package is now available, featuring 19-inch gloss-black aluminum-alloy wheels. 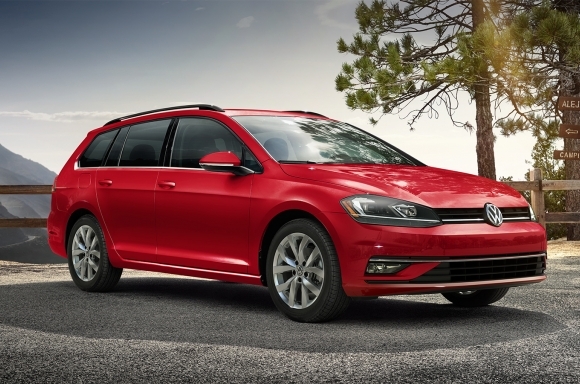 The 2019 Golf SportWagen is available in three trims—S, S 4Motion, and SE. For front-wheel-drive models, the 1.8T engine is replaced by the same 1.4T, 147hp powertrain found in the 2019 Golf models. The S 4Motion retains the 1.8T engine. The 1.4T is paired with either a six-speed manual or an eight-speed automatic transmission, while the 1.8T is available with either a six-speed manual or a six-speed DSG® automatic transmission. The 2019 S and S 4Motion models offer an available Driver Assistance package including Front Assist, Blind Spot Monitor, and Rear Traffic Alert. SE models add 17-inch aluminum alloy wheels, LED headlights with AFS, fog lights, auto-dimming rearview mirror, ACC, Lane Assist, and Light Assist. The e-Golf, Golf, Golf Alltrack, Golf GTI, Golf SportWagen and Golf R will be featured in Car and Driver’s January 2019 “10Best” issue. For more information about Car and Driver’s 10Best awards, see www.caranddriver.com/10bestcars2019. This press release and images of the Golf family are available at media.vw.com. Follow us @VWNews. “DCC”, “KESSY”, “VW”, “Volkswagen”, all model names and the Volkswagen logo are registered trademarks of Volkswagen AG. All other trademarks are the property of their respective owners. “Fender” is a registered trademark of Fender Musical Instruments Corporation. Requires charging at select DC fast charging stations. Frequent and consecutive high-voltage charging (including DC charging) can permanently decrease the capacity of the high-voltage battery. See owner's manual for details. Special order colors subject to additional delivery time. See dealer for details.